Welcome to that funky in-between seasonal weather—some days muggy, some days rainy—when I drag out the flat iron because my wavy hair looks like a bed of sea kelp! But there’s a better way to straighten hair these days that’s actually safer and possibly healthier. I mean, ever fried your hair by over flat ironing? We all have. It’s essentially like ironing a shirt and leaving your clothes iron sitting still on the fabric for too long. You BURN THE SHIRT. Same thing with a flat iron left on your hair for too long, you DAMAGE YOUR HAIR! So if your flat iron is constantly in motion–or say vibrating—that would be protecting your hair, and not leaving to chance any hot spots. 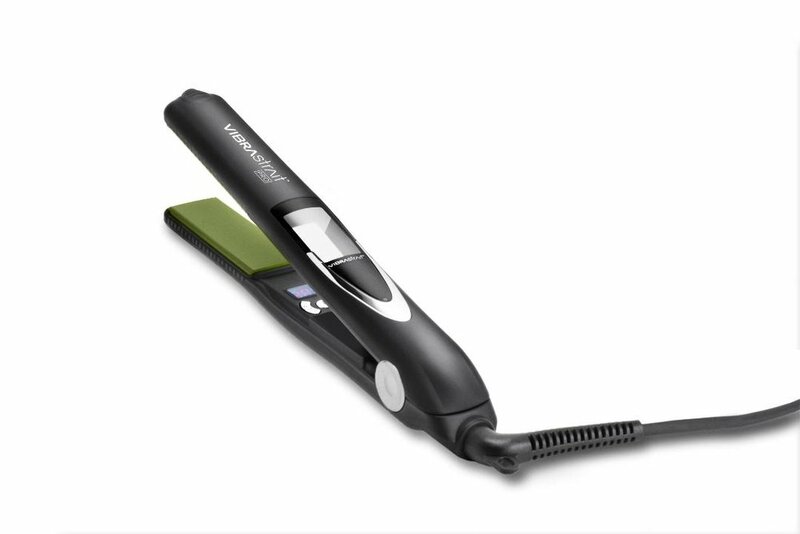 Enter the Vibrastrait PRO 1” Vibrating Flat Iron (also available in 1.75” for medium to long hair) made of ceramic tourmaline plates that vibrates 7,500 times per minute, which creates a smooth glide over the hair shaft and a safer, seamless distribution of heat. From frizzy to straight in a snap! One might think all this movement might tug or pull at some point creating stress on the tresses, but the whole point is less damage. Plus, they claim you’ll save up to 50% styling time to get you out the door sooner, and with my head of hair I know I could do a lot with all that time! As of this publication, the normal retail price of $159.99 is on sale for $99 at www.beautopiahair.com. It’s worth a test drive for some stylish tresses just in time for the holidays!